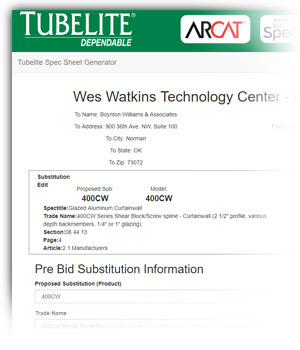 Free for Tubelite’s portal users, our new EZ Substitution Tool for product substitutions or project submittals – cuts your time needed to submit in half. CSI 13.1A or CSI 1.5C forms. The SUBMITTAL feature provides an “à la carte” product list that compiles the information and eliminates searching for online engineering documents. Speed and ease of use may be habit-forming. 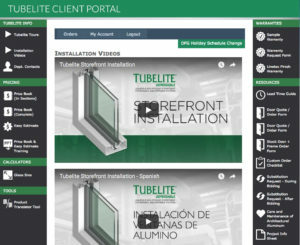 Continuing its steady growth, Tubelite Inc. completed a 33,000-square-foot expansion at its facility in Walker, Michigan. This location includes the company’s corporate office, fabrication, warehouse and shipping operations. The addition will also accommodate a new engineering test laboratory, a new fabrication training area and larger space for extrusion racking, plus new equipment, technology and ergonomic enhancements. “The new, additional space and layout helps us improve our process flow, resulting in ever-better lead times. 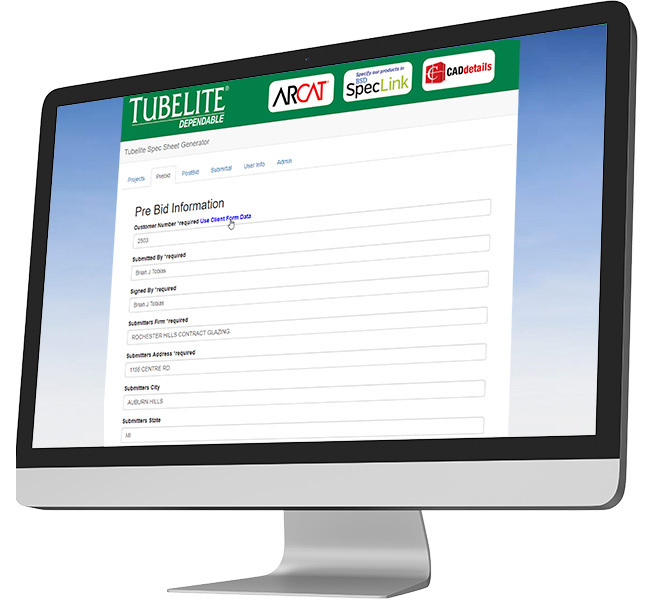 The new equipment also helps us gain greater capacity to support future growth and to maintain the dependable, high-quality of our products and reliable service that our customers count on us to provide,” says Mary Avery, Tubelite’s vice president of marketing. The company previously added more than 43,000 square feet to the Walker facility in 2012. Today, it encompasses a total of 155,000 square feet. Its Dallas location provides additional fabrication, warehouse and shipping operations and its facility in Reed City, Michigan, houses the company’s aluminum extrusion operation.